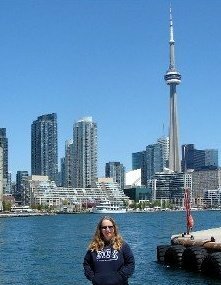 From Goodreads ~ For decades Toronto historian Mike Filey has regaled readers with stories of the city's past through its landmarks, neighbourhoods, streetscapes, social customs, pleasure palaces, politics, sporting events, celebrities, and defining moments. Now in one lavishly illustrated volume, he serves up the best of his meditations on everything from the Royal York Hotel, the Flatiron Building, and the Necropolis to Massey Hall, the Palais Royale, and the Canadian National Exhibition, with streetcar jaunts through Cabbagetown, the Annex, Rosedale, and Little Italy and trips down memory lane with Mary Pickford, Glenn Miller, Bob Hope and Ed Mirvish. 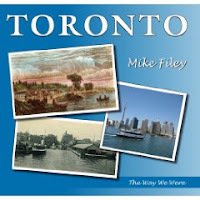 Filey recounts in vivid detail the devastation of city disasters such as Hurricane Hazel and the Great Fire of 1904 and spins yarns about doughnut shops old and new, milk deliveries by horse, swimming at Lake Ontario’s beaches, Sunday blue laws and how both World Wars affected Torontonians. 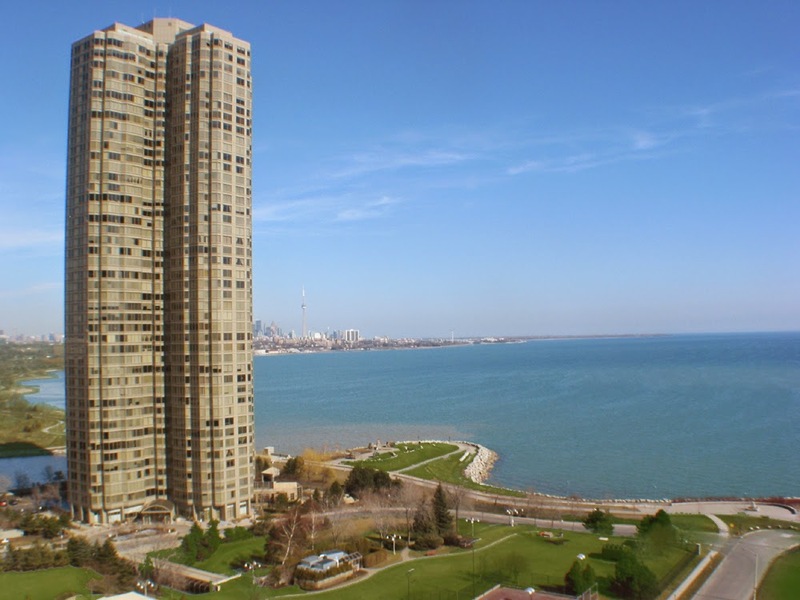 For example, we learn about Palace Pier, which was an amusement pier and the development was proclaimed as one of the biggest landmarks to ever be built on the Toronto waterfront and would be similar to the many amusement piers found along the coast in England. The proposed pier would include a 30,000 sq ft ballroom that would accommodate 3,000 couples, a roller rink (converted for ice skating in the winter months), 1,400-seat theatre, an outdoor Band Pavilion seating 1,500, and several restaurants and souvenir stores. 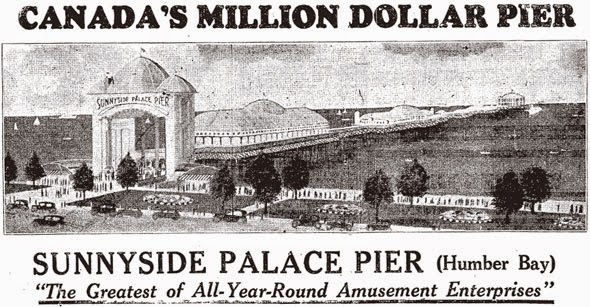 The pier would also allow for steamer ships to dock alongside the structure, easing congestion for the 50,000 people a day the prospectus claimed would attend the amusement facility. Only the first phase of the redesigned amusement pier, 90 metres long, was opened on June 10, 1941, and it became popular as a major dance hall of the big band era during World War II and the postwar years. Hollywood celebrity Bob Hope, who was in town promoting his latest film, officially opened the new Palace Pier by doing a few laps around the roller rink in front of fans. 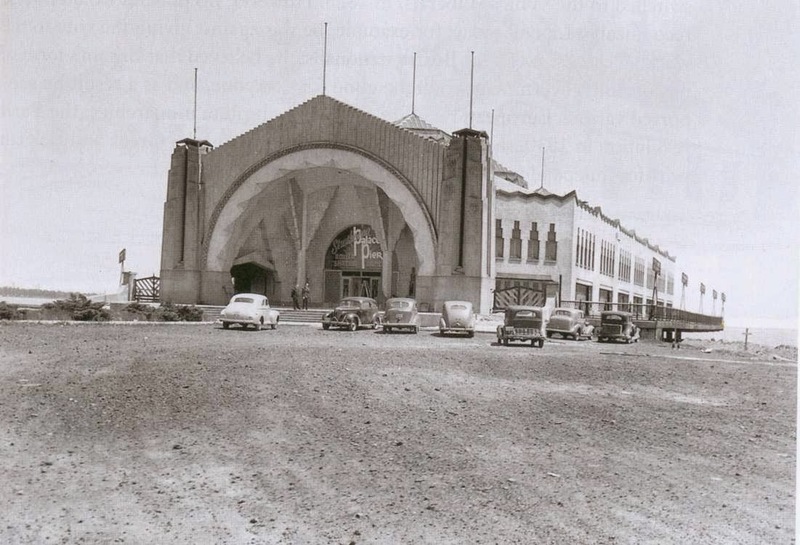 As big band music faded away, boxing and wrestling matches, religious revival meetings, country and western concerts, and high school proms became the major events to frequent the Palace Pier. 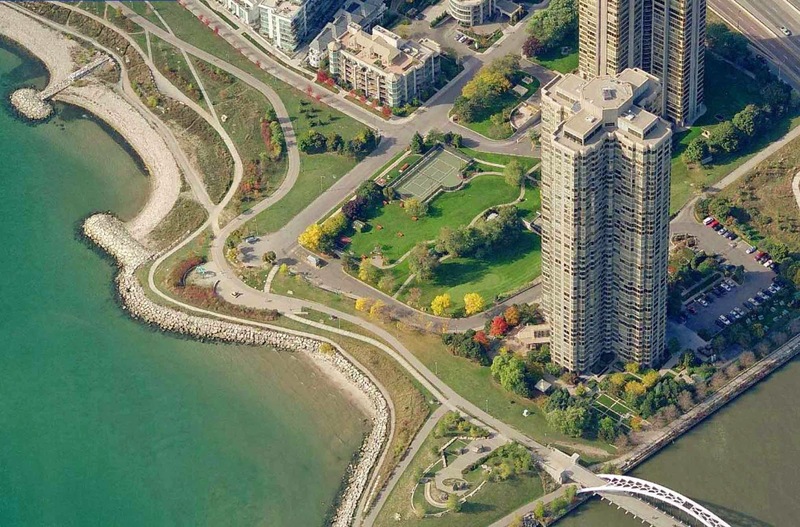 The pier was destroyed by fire in 1963 and the site later redeveloped into condos and a public park (Sheldon Lookout). If you live in Toronto or are from Toronto, you will find this book interesting. Another awesome book for residents of Toronto.